RETURN TO PARADISE was skimmed from the short story “Mr.Morgan”, out of James A. Michener’s book, also titled “Return To Paradise”. 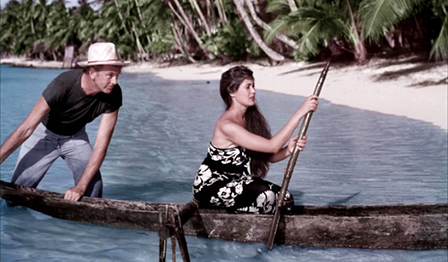 It’s a minor effort for Gary Cooper, diverting thanks to location filming in Western Samoa. Set in 1929, it covers the adventures of a wandering beachbum, who arrives on a Polynesian island that is under the iron-thumb rule of a God-crazed missionary. The preacher employs bullying police to keep the congregation devout and ‘pure’. Mr.Morgan won’t be pushed about and changes are wrought. A nice music score from Dimitri Tiomkin adds some pep to the 100 minutes, directed by Mark Robson, released to middling success in 1953. With Barry Jones, Roberta Haynes, Moira MacDonald and John Hudson. Enjoyable time-filler. The book was a fun afternoon-in-hammock collection. 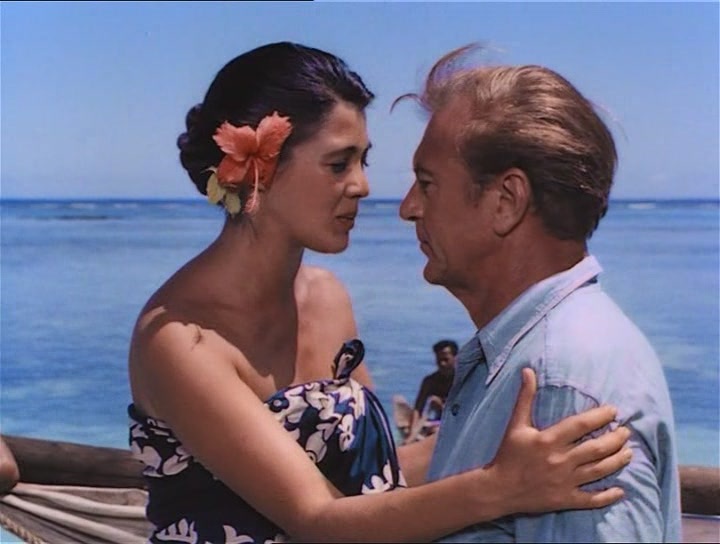 Audiences gave up $5,500,000, placing this a balmy #53 in ’53.